Another shocking incident has come to light from Bengaluru’s Kadugodi, Whitefield, where a mentally challenged man was brutally beaten over the suspicion of child lifting. As per the reports, he was tied to a tree and beaten brutally and also videographed the torture that they had given to the mentally ill man. 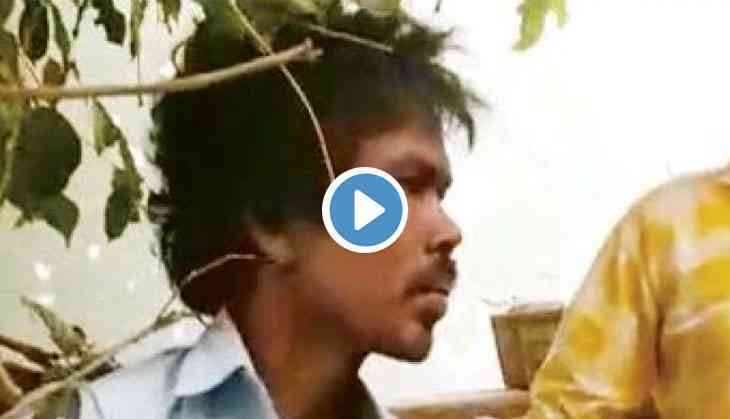 Police told that the local residents of Patalamma Layout tied him to the tree and assaulted him. The incident took place on Wednesday evening at around 4:30 pm, said Police. The age of the man is 25, belonged from Odisha had entered one of the houses in Patalamma Layout. People mistakenly think of him as a child lifter and then, the rumours spread in the area that he is a child lifter. A large number of people gathered to thrashed the man. As per the Police official, one of the residents told people that he had received a WhatsApp message stating that a gang of child lifters had entered their area and he might be among them. Therefore, people got angered and come up together to beat him. The video of the whole incident went viral on social media. As soon as the Kadugodi police come to notice, they immediately rushed to the spot and took the man to the police station. After the interrogation, they found that the man was mentally challenged and then, they admitted him to the hospital.